About a month ago, I was wandering through Target with Dai and we stopped to look in the kitchen section (because he is obsessed with it). That's when I saw the NutriBullet and was immediately intrigued by it. I read every word on the box and was sold. Since it happened to be on sale and I had some birthday money stashed away, I decided it had to be mine. So, what is it exactly? 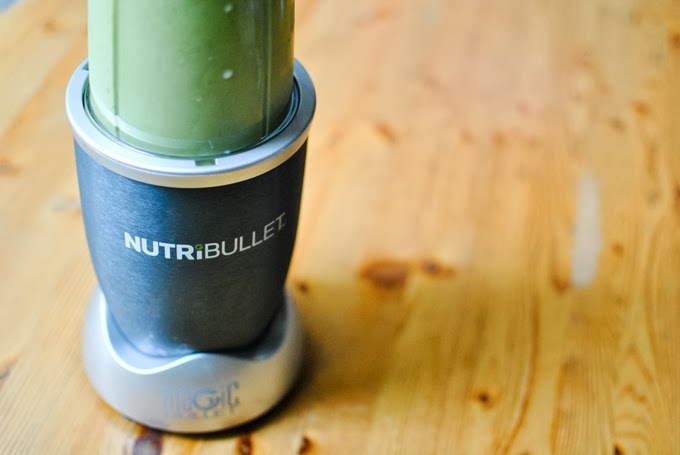 According to the box, it is a "nutrition extractor," which supposedly makes it better than a blender for making smoothies, and better than a juicer because of all the nutritious fibers a juicer disposes of. 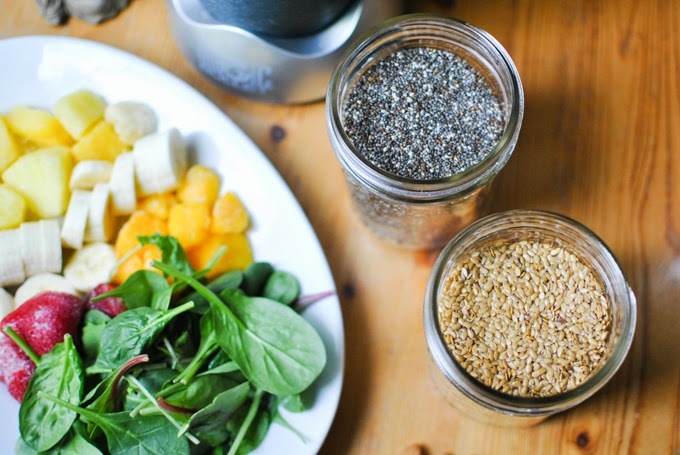 To me, it is two important things: 1) a smaller, easier to use & clean "blender" of sorts and 2) a more cost effective and healthier alternative to juicing. After watching a documentary about juicing back in 2012, I was very interested in it and attempted to make it a regular part of my routine. It was great while it lasted, but the juicer was annoying to clean and discarded so much of what I actually put into it. It turns out that all the stuff the juicer deemed as "waste" is actually very important. Also, because the juicer didn't use all that I put into it, the practice quickly got very expensive. And the results tasted awful anyway. Here's the other thing: I am lazy. Yep, I said it. I love that I can just dump whatever I want in here, turn it on for about 30 seconds, and BOOM I have breakfast, lunch, or sometimes even dinner. It is simple and doesn't take up much of my time, which is very important to me as a college student constantly on the go. Over the past month, I have been experimenting with all types of ingredients. It has been a lot of fun to try new things and test out different combinations to find what I like best. To me, the smoothies taste great. I have gotten used to a heavier greens taste and don't mind it much. The unsweetened almond milk I usually add also gives it a smoother, creamier taste. As recommended in the NutriBullet handbook, I try to make the majority of my smoothie greens based, with just a bit of fruit. 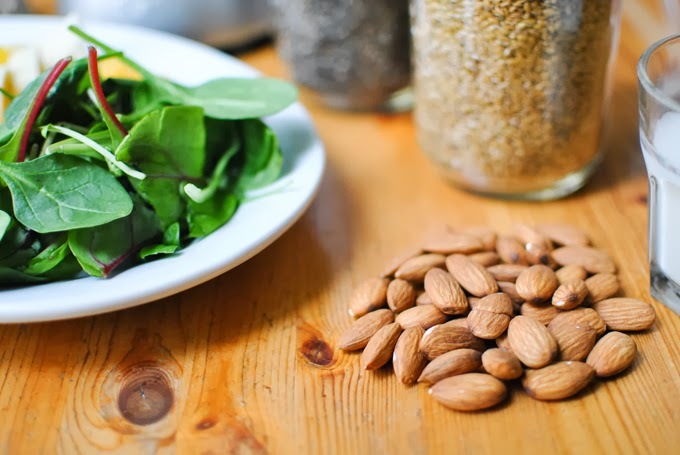 Fruit is great for you, but it is also very sugary, so the most nutrition comes from the greens. I buy a "power greens" mix at Costco that I just love. I usually just add a few handfuls of that, a bit of fruit (frozen is great for thickening and cooling your drink), maybe some almonds, some seeds (such as chia, flax, or pumpkin), and some almond or coconut milk. Then I just blend it up! 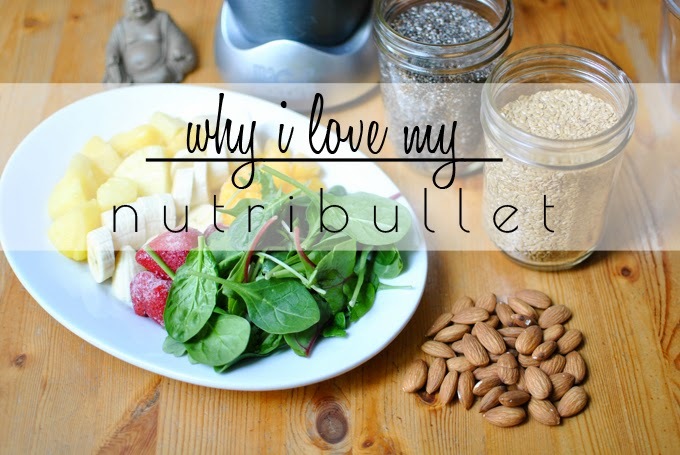 Using my NutriBullet has been wonderful so far. I love starting my mornings with a big green smoothie. I feel more energized, light, and ready to take on the day when I do. I also sometimes make a smoothie at lunch time to bring with me to work and drink for dinner when I have to head to my night class. It gives me a second wind and helps me to focus on my work that evening in class. Plus, the smoothie container comes with a lid, so it travels well and keeps well in the fridge until I am ready to drink it a few hours later. I just give it a quick shake and it is good to go! I hope you enjoyed this look into my new favorite toy! I am definitely having a lot of fun with it and can't wait to keep experimenting. I think it will be great to have this summer to make all sorts of refreshing drinks, maybe even some with iced tea in them too! 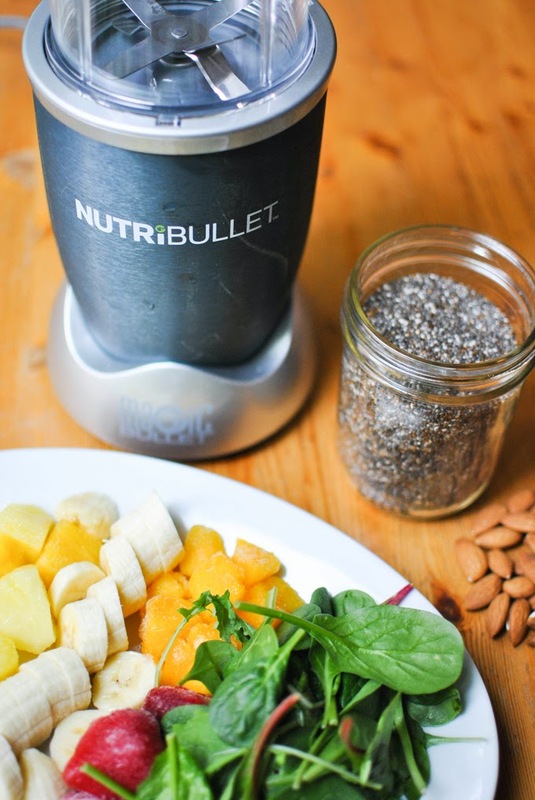 Have you heard of a NutriBullet or have thought about getting one? Do you already have one? 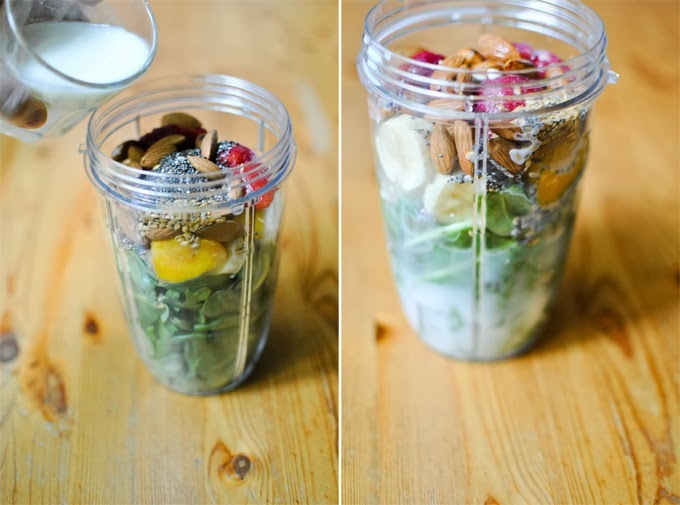 What are your thoughts on it or making smoothies in general? Tell me, friends! I have a nutri bullet knock off. and I love it. its such an awesome invention - and so easy to clean. \\\ BUT I still love my juicer to death. And there is no way I could have as many smoothies as I do juices. That's true! They are much more filling and harder to drink a large amount of. You can just mindlessly sip on juice, so that's true!